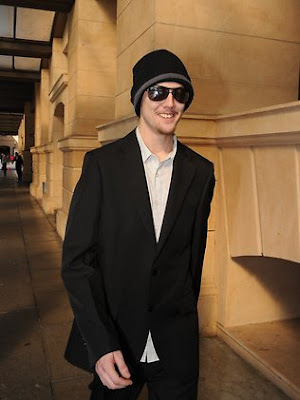 Computer bank account hacker Anthony Scott Harrison 'no serious criminal' !! A COMPUTER hacker who infected more than 2300 computers with a virus capable of stealing banking details did not have serious criminal intentions, a court has heard. Today, lawyers for Anthony Scott Harrison told the District Court his "youthful curiosity" had led him into hacking into the computers of others to steal money. "Using the Google search engine he learnt all he could about hacking," Harrison's lawyer, John Edwards, said. "He did not start hacking with serious criminal intentions ... because he was unemployed he then utilised his hacking skills to provide money. "Underlying his initial attraction to hacking was not theft or greed, but was youthful curiosity." Harrison, 21, of Blackforest, has pleaded guilty to one count of modifying computer data to cause harm or inconvenience, two counts of possession or control of data to commit serious computer offences and one count of dishonestly manipulating a machine. The court heard the charges took State and Federal police four months to investigate and were the first to reach sentence in the District Court. Mr Edwards said Harrison's had become immersed in the cyber-fantasy world and "naively" began experimenting with hacking. He said Harrison had used someone else's bank details to buy a Coles voucher, and had transferred money into his own account. "There's a difference between what Harrison had the capacity to do and what he actually did as direct theft and benefiting himself is concerned," Mr Edwards said. "This was never going to be a large scale criminal enterprise involving him stealing large amounts of money." The court heard Harrison was no longer using computers. Tracey Nelson, prosecuting, said Harrison had infected 2370 computers and could have infected numerous others. "It was more a case of what could have been the potential had this gone undetected," she said. "Had this gone any further it could have been quite devastating." Ms Nelson said there was a need to deter others from hacking "as any of us could become victims of this type of offending very very easily".Harrison will be sentenced next month.